FJUT is situated in Fuzhou – the provincial capital of Fujian in China. The city has over 2000 years of history, and served as an important port of the southeast coast of China. FJUT occupies an area of 136.88h㎡. It is a public university at provincial level with a focus on practice and application. Its core offer lies in engineering while integrating other disciplines such as management, arts, economics, science and law. 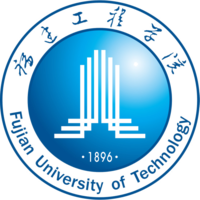 The university originated from “Cangxia Jingshe” (Cangxia Elementary Technological School), which was co-founded in 1896 by Lin Shu, an eminent Fujian scholar and translator, and Chen Baochen, a tutor of the last Chinese emperor Pu Yi in Qing Dynasty, and evolved into “Fujian Gaogong” (Fujian Advanced Technological School) renowned before the founding of P.R.C. in 1949. Currently, FJUT is known as the “Huangpu Military Academy in Architecture” and also “the Cradle of Mechanical Engineers” in Fujian Province. The university possesses a well-structured and high-quality faculty. At present there are 949 full-time teachers, among which there are 366 teachers with senior professional titles and 705 of them own a doctorate or a master’s degree. There are 25000 full-time students in FJUT.Various supporting facilities have been constantly improving, with all kinds of facilities of teaching, living, and sports well-equipped and teaching equipment and instruments advanced.FJUT has been actively involved with international academic exchanges and cooperation, having established cooperative relations with prestigious colleges and universities in over 10 countries in United States, England, Canada, Australia, Russia, German, Singapore, Japan and so on.